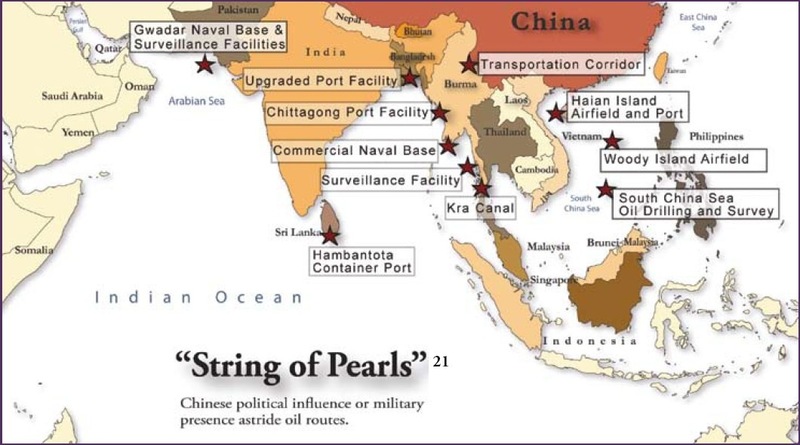 U.S. Joint Forces Command (USJFCOM) in their report JOE 2008 have updated String of Pearls (shown below) that explains growing Chinese political/military interests to protect oil supply route. Also it can be noted how the String of Pearls covers India from East, South and Western seaboard. Joint Operating Environment (JOE 2008), highlights the Challenges and Implications for the Future Joint Force.